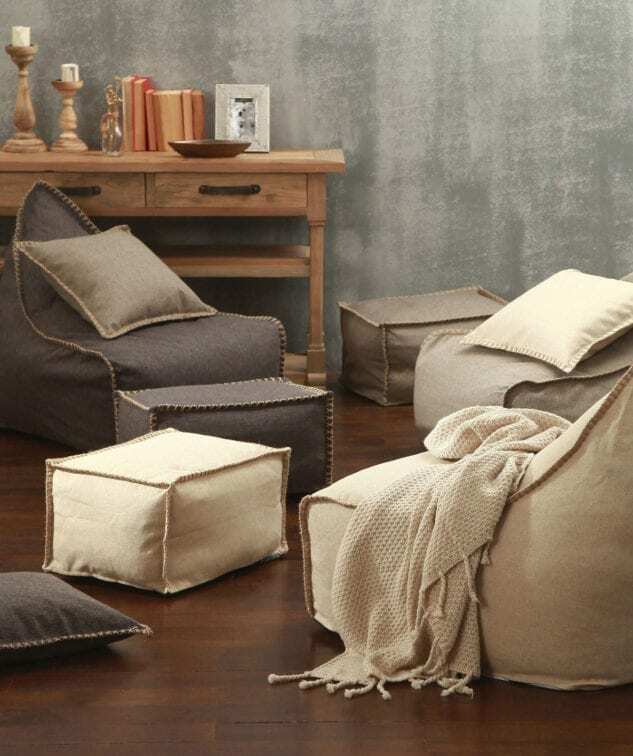 Snuggle up on this stylish linen look polyester bean bag and ottoman set. Perfect for creating a relaxed and casual look in your home. Available in a gorgeous range of neutral tones and finished with hand stitching and a rope handle. 200 litre bean fill required (not included).